Welcome back for the second part of our Christmas tale. Last time we met little Celestina Christmas, a ‘visitor’ at the Harringtons’ house in Hackney when the 1851 census was taken. I began to wonder about Celestina. I’ve got quite a few brick walls surrounding my Harrington ancestors, so it seemed sensible to look at their FANs, or friends and neighbours. Where better to start than with this little girl? What I found threw up some interesting information about the Harrington family. But more than that – I discovered the story of a murder which, in the 1850s, was notorious around the world. The first surprise was that there was more than one Celestina Christmas. 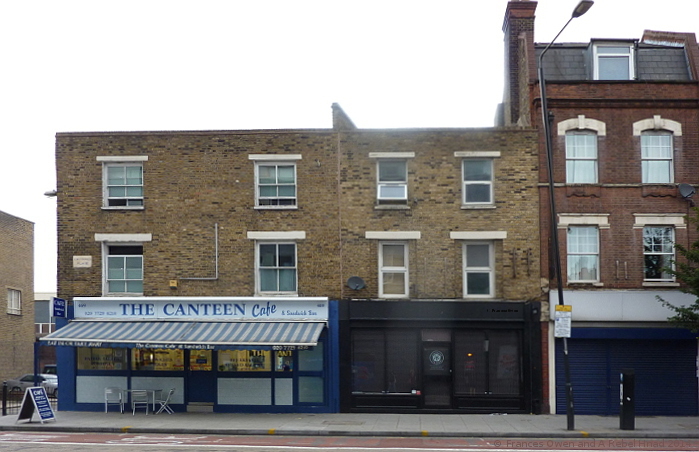 There was the one who was at 2 Gwynn’s Place, Hackney Rd, on the night of the 1851 census. And there was her mother, who had the same name. So let’s start with the older one. Celestina Elizabeth Christmas was born on 1 July 1827 to a well-off family. 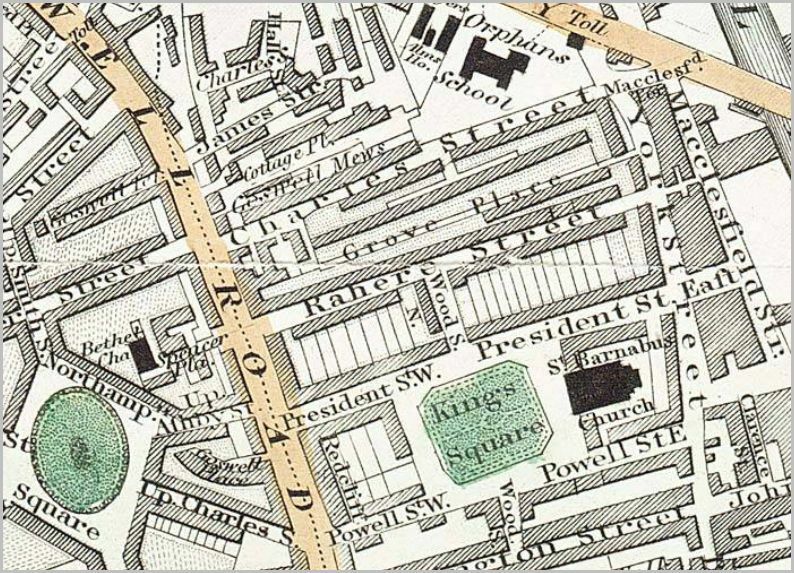 Her father, William Foster Christmas, was a silversmith living in King Sq in Finsbury, a little south and east of fashionable Islington. He and his wife Elizabeth had three of their children baptised on the same day, 19 July, 1829: Emma Mary, born in 1825; Celestina; and Alfred Robert, born on 18 May, 1829. Perhaps they’d waited for a boy to be born before bothering with a baptism. They already had an older son, William, born in 1821. There’s little evidence of what sort of childhood Celestina had. It was probably fairly comfortable, given her father’s profession. She could write, and what’s more she could sing, and must have had lessons because she went on to take part in professional concerts. She was probably well-read, and later on in life may well have gone to performances of Shakespeare’s plays. We know she was slightly built, pretty, with fair hair and a pale complexion. But something was missing. Parental love? Guidance? Someone to care for her? Who knows. Because in March 1845, when Celestina was 17, something unthinkable happened. Something which would change her life for ever and lead to a terrible tragedy. The pretty, talented young girl from a respectable family, who would most likely make a good marriage, was – in the eyes of all Victorians – ruined. Celestina was unmarried – and pregnant. This entry was posted in Genealogy, London and tagged #victorianmurder, Celestina, Celestina Sommer, Christmas, family history, genealogy, Hackney, Harrington, Julia, London, Murder. Bookmark the permalink.